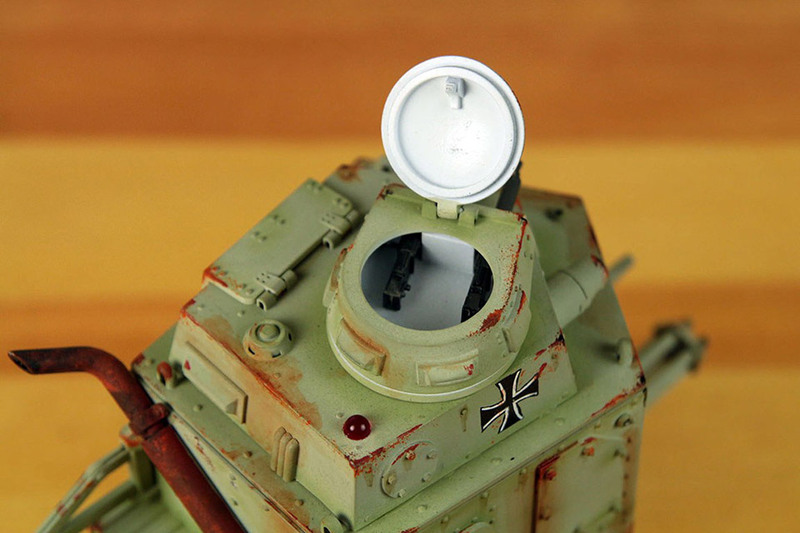 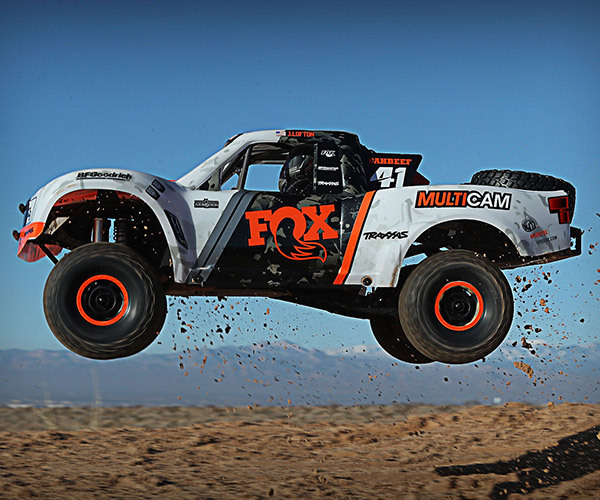 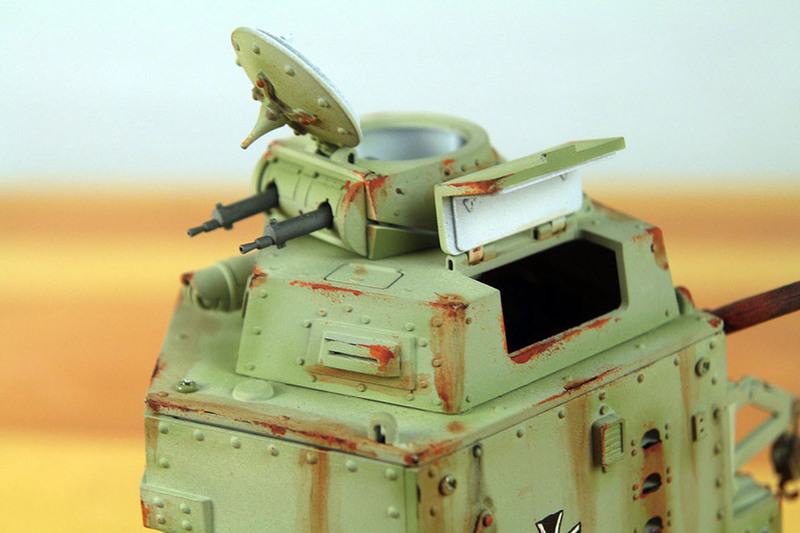 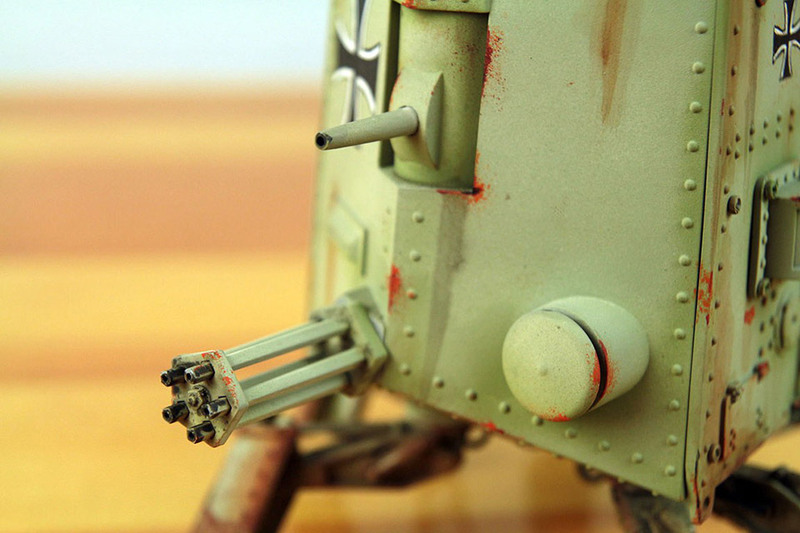 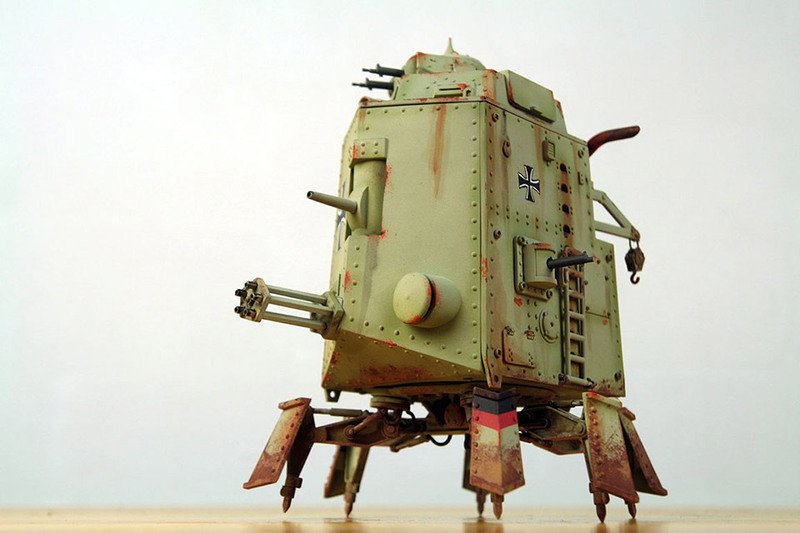 The latest mobile fortress from Michael Sng’s one-of-a-kind dieselpunk toy line. 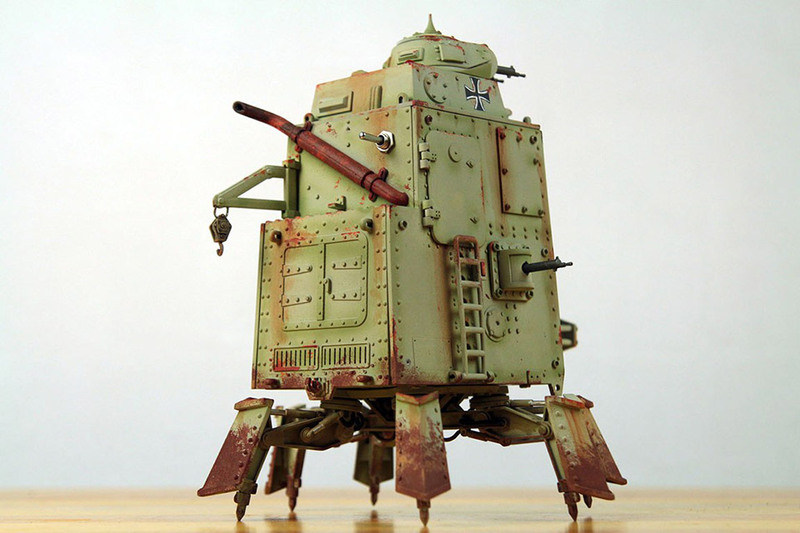 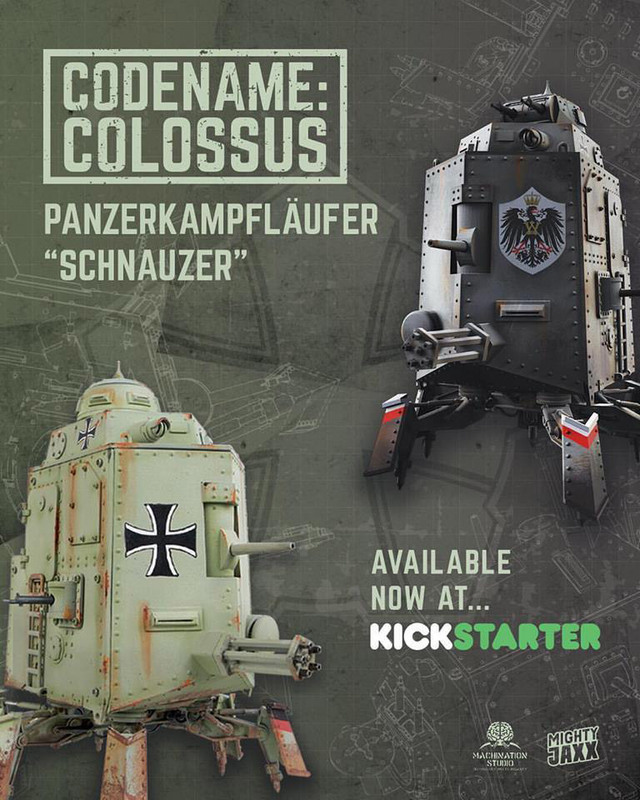 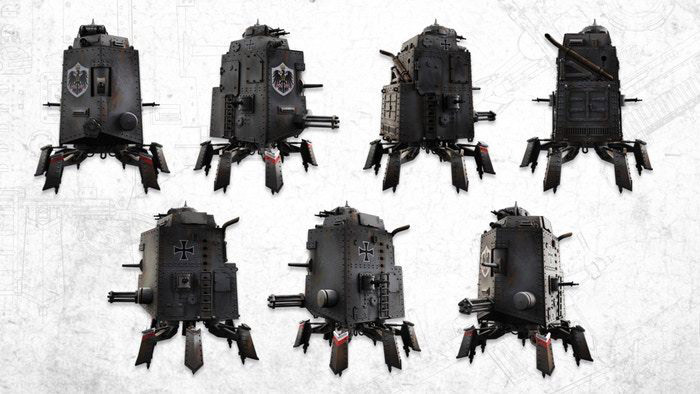 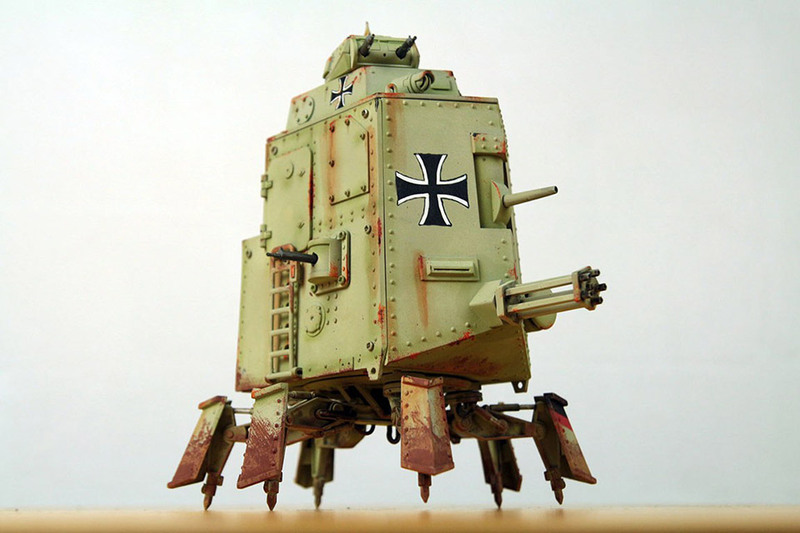 The Schnauzer Armoured Walker is one of the imperial German machines in the Codename Colossus universe. 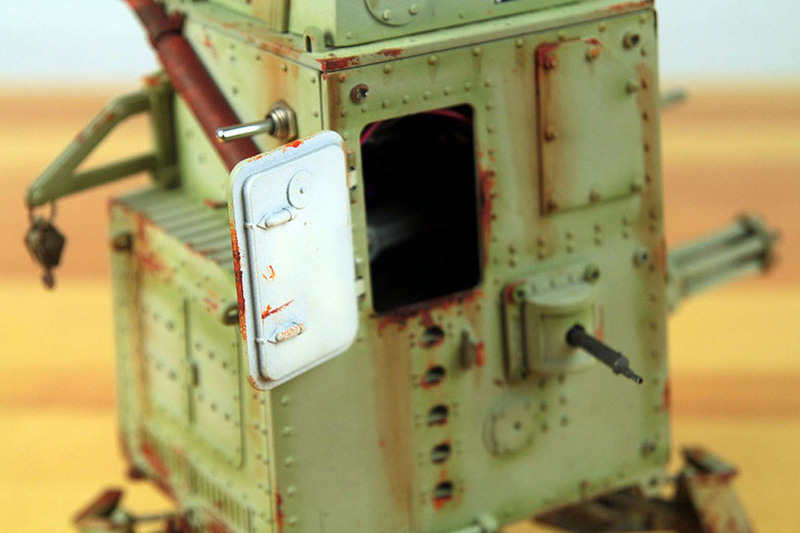 It stands 8.5″ tall and is painted and weathered by hand.